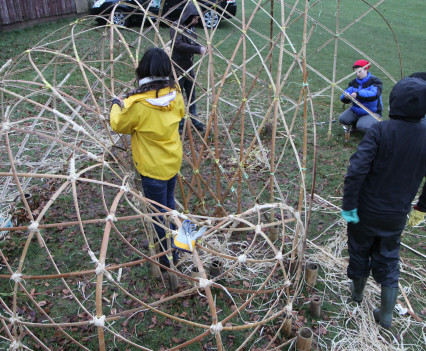 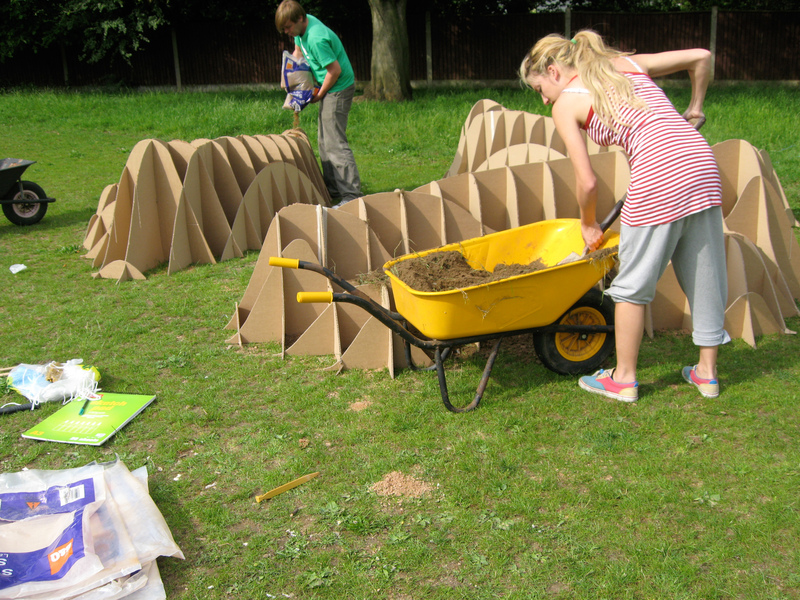 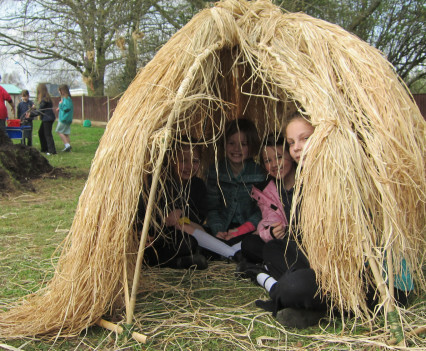 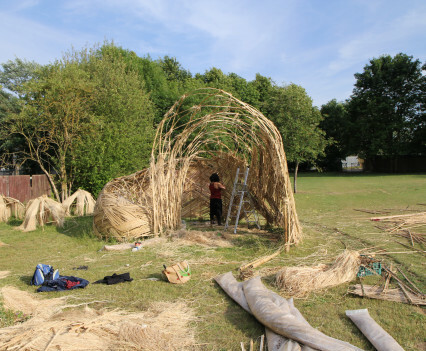 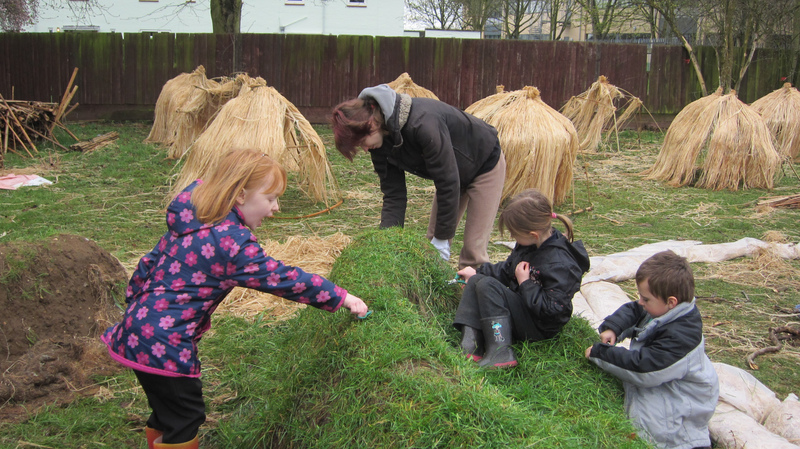 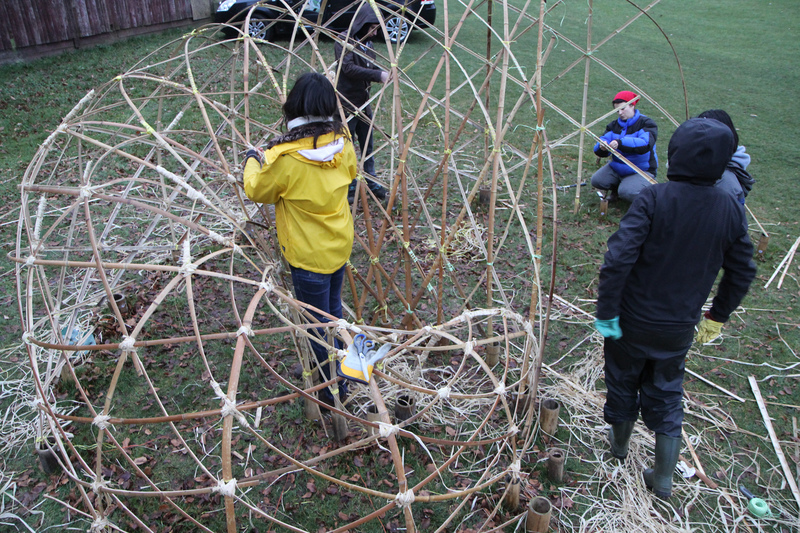 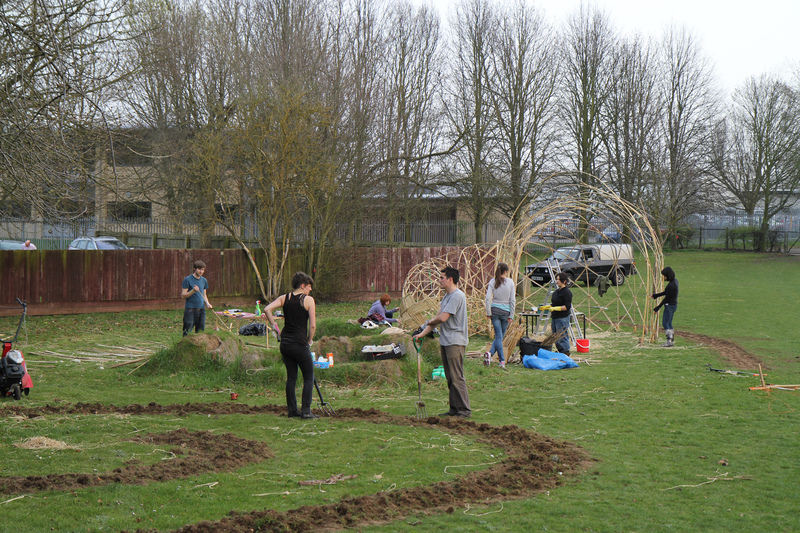 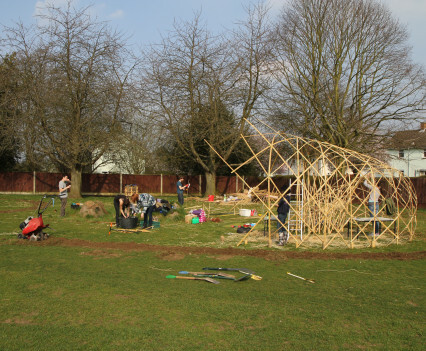 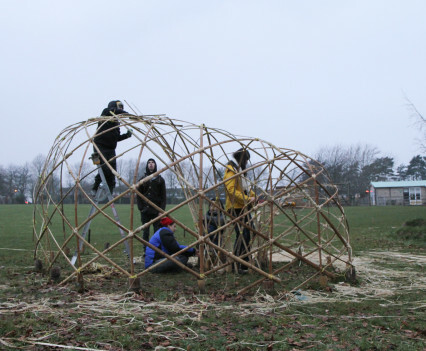 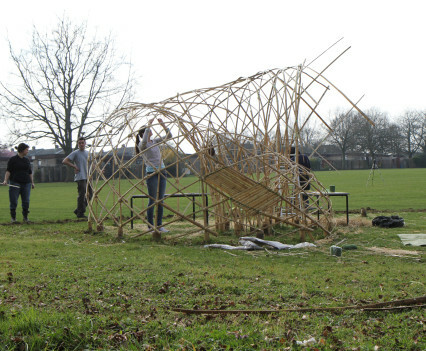 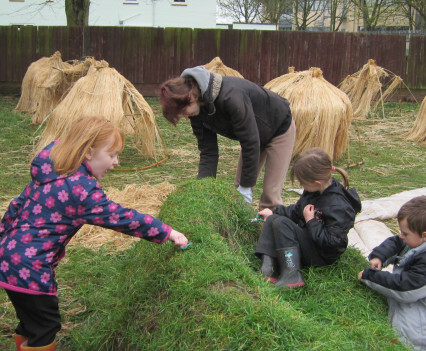 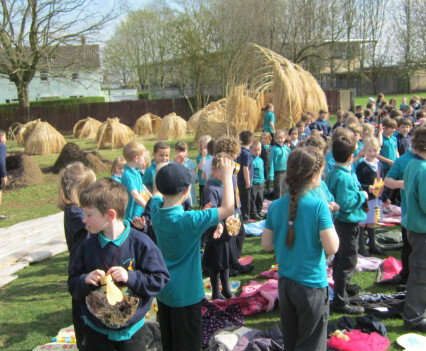 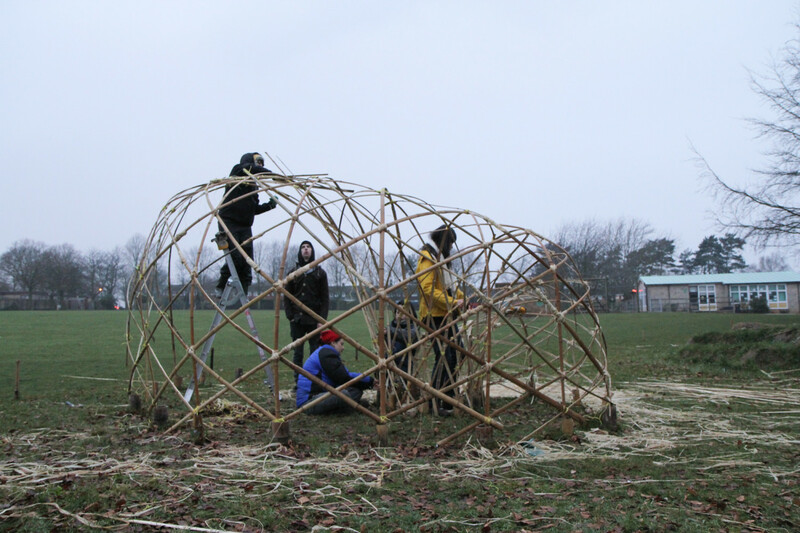 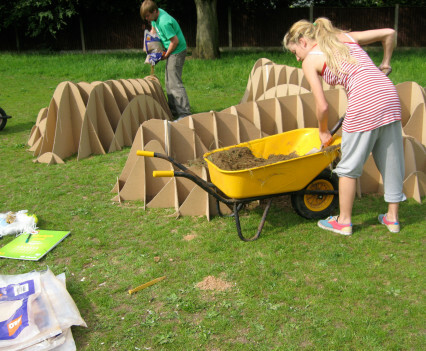 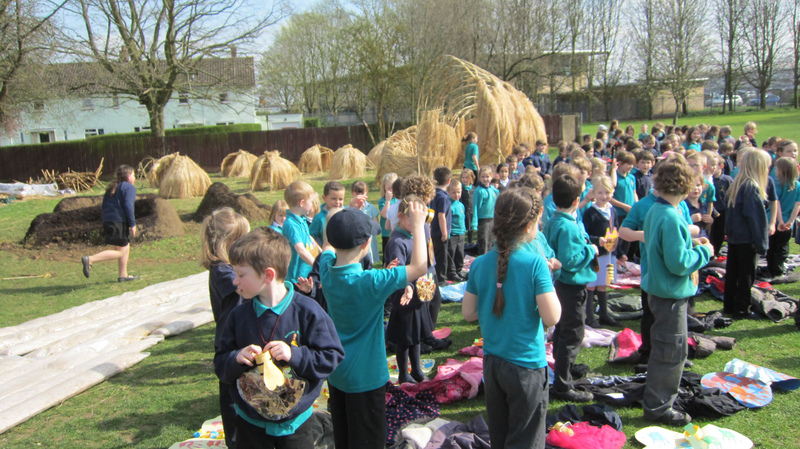 We were invited practitioners for the Creative Partnerships program, to develop an outdoor learning environment at a primary school in the UK together with staff and pupils. 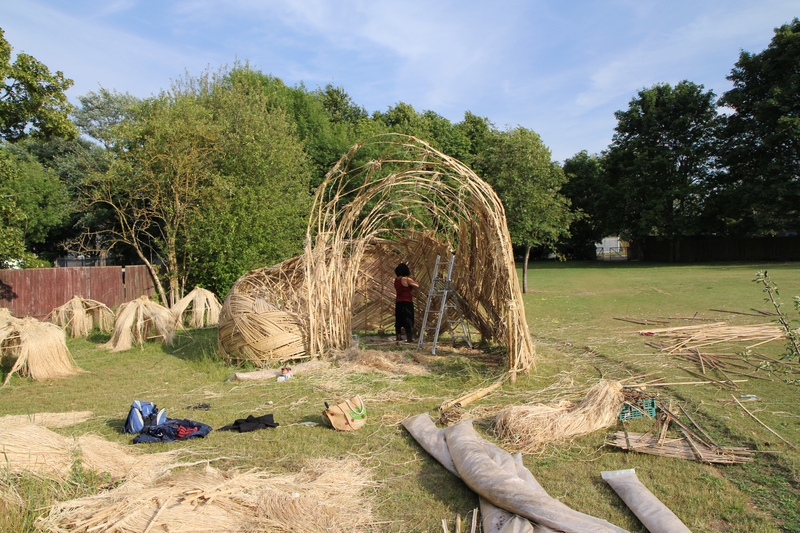 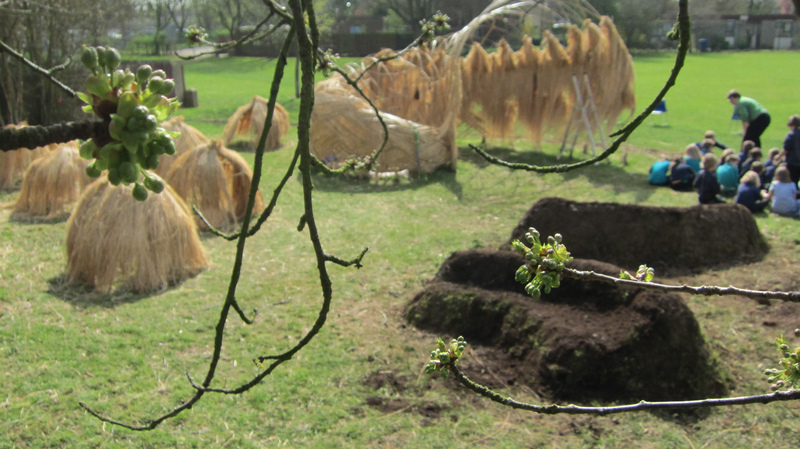 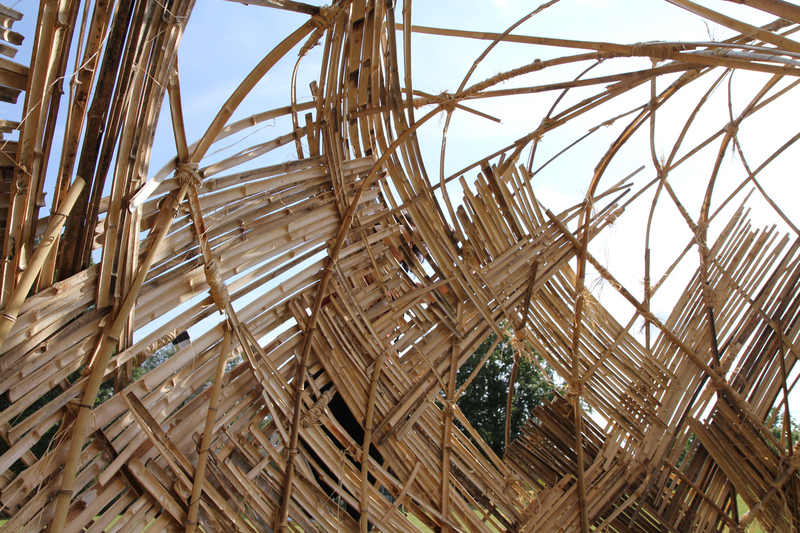 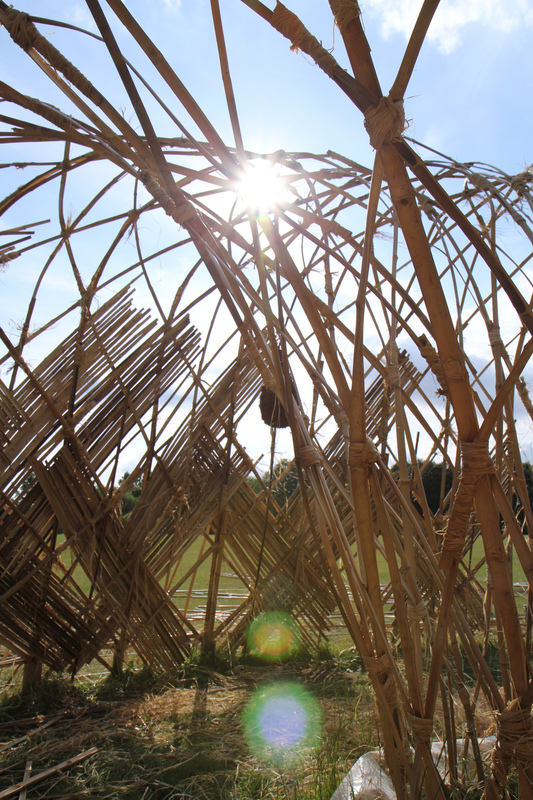 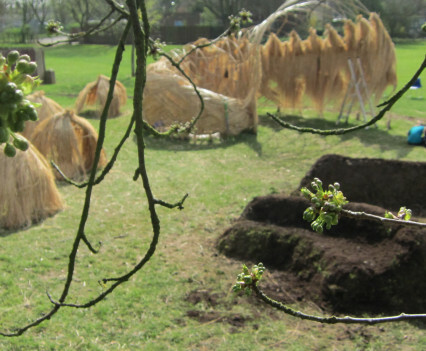 During the course of two years we built a small village of nests using bamboo and living materials, allowing the area to grow tall and wild. 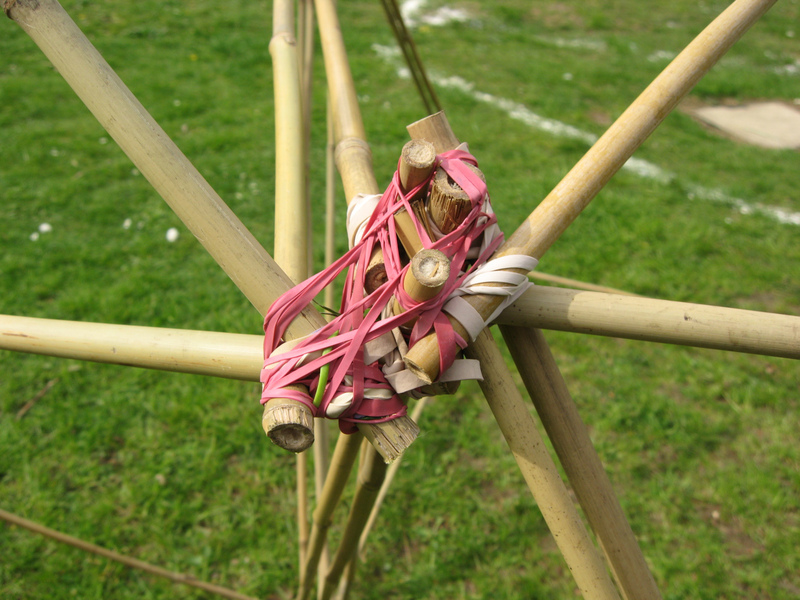 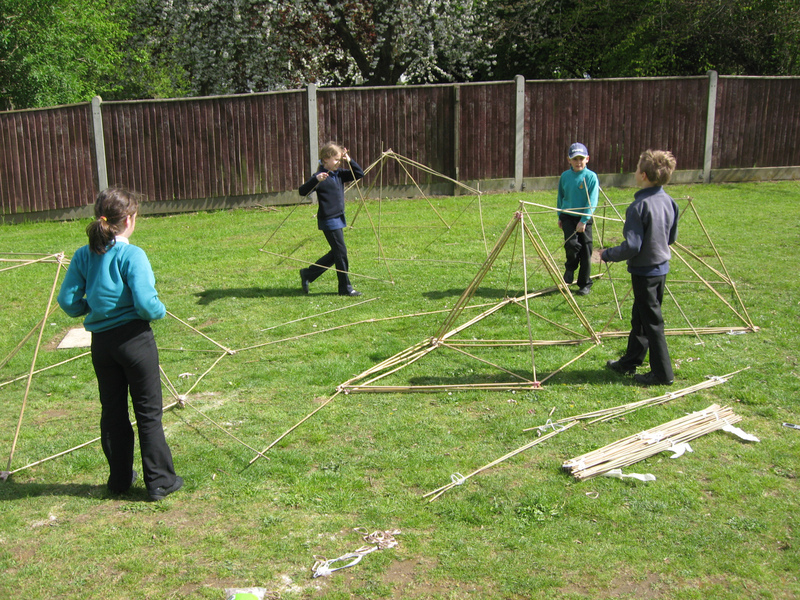 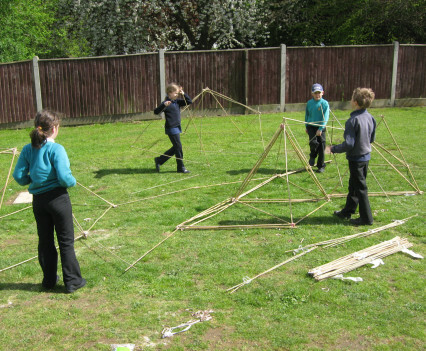 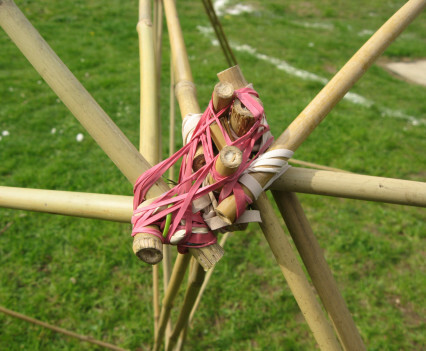 We developed a curriculum for outdoor learning that covered mathematics, geometry, design and biology. 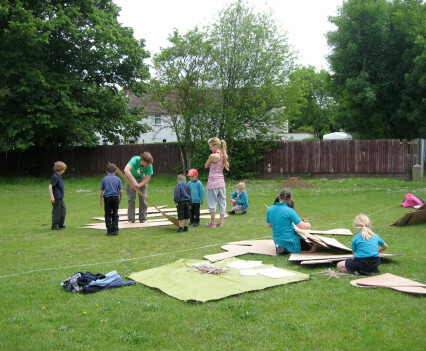 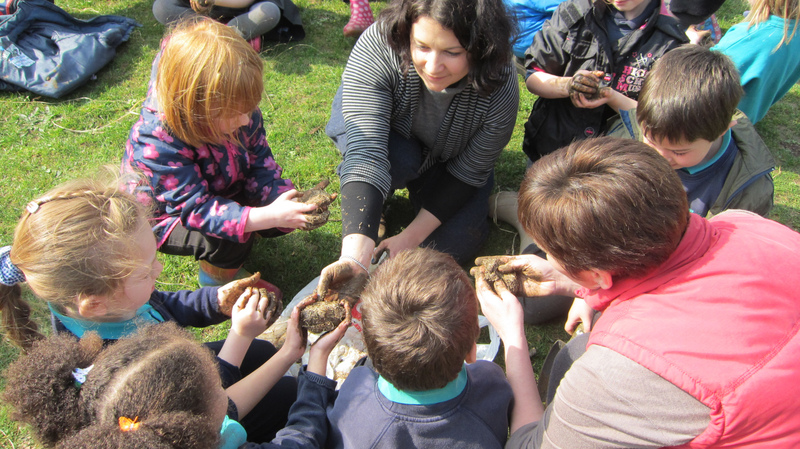 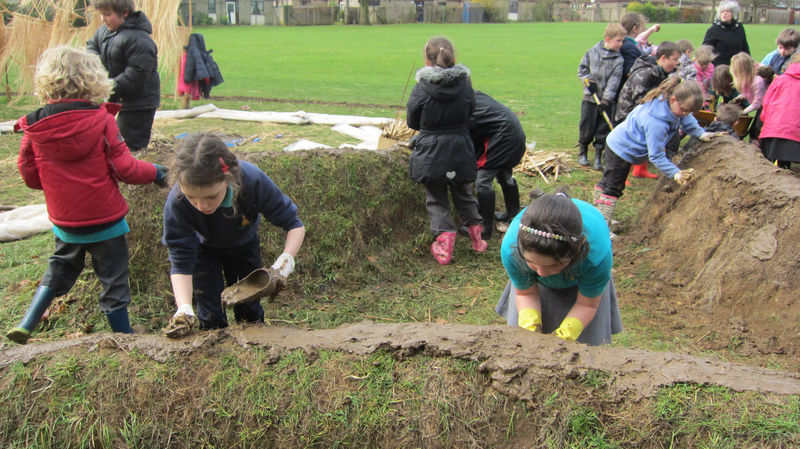 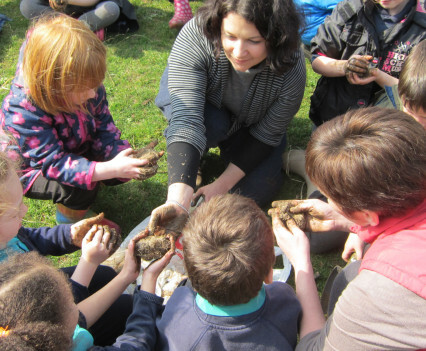 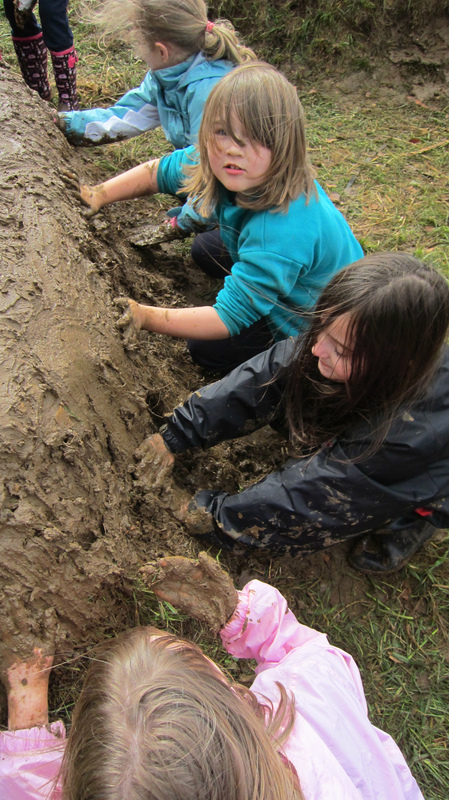 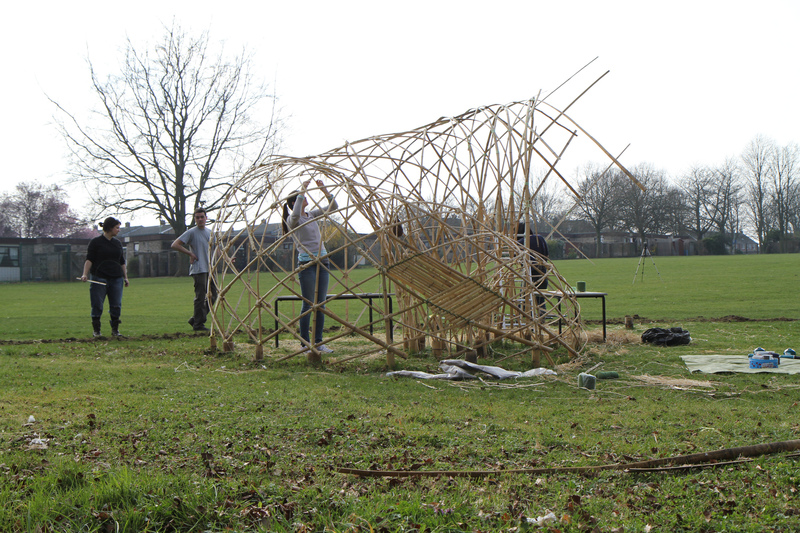 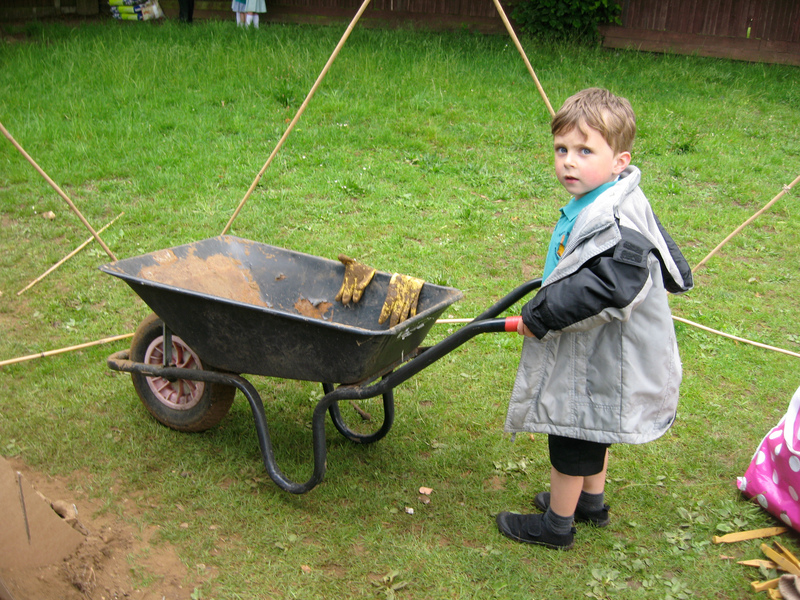 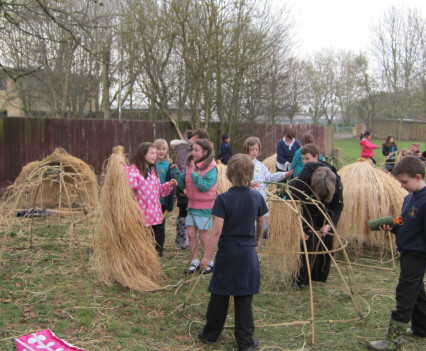 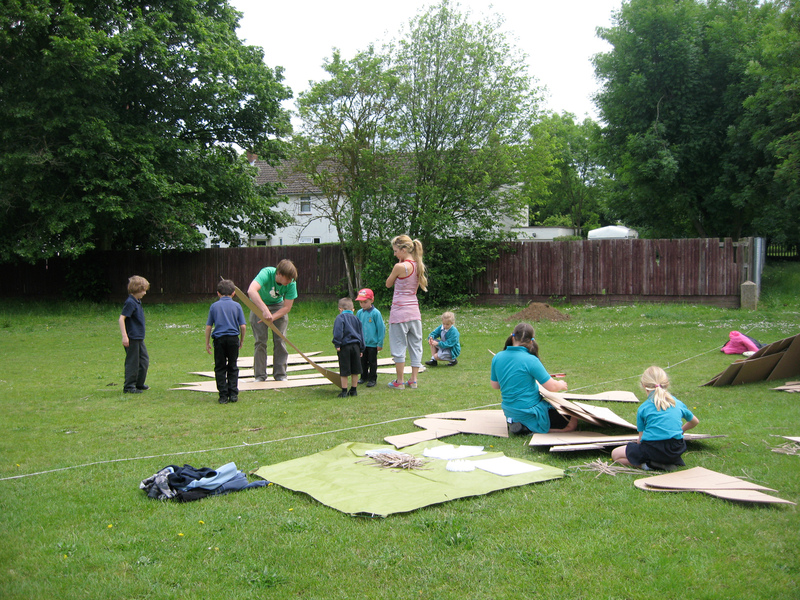 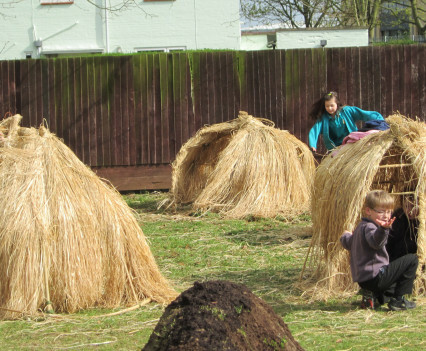 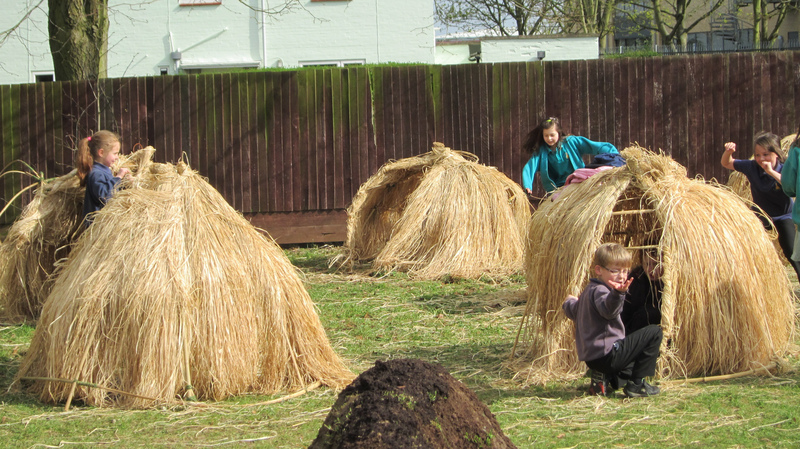 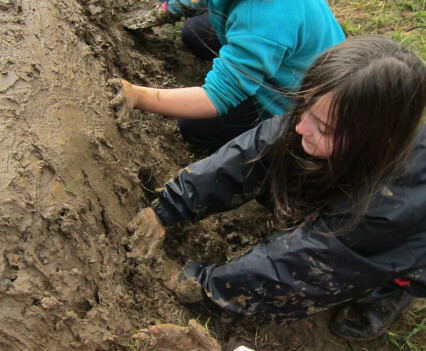 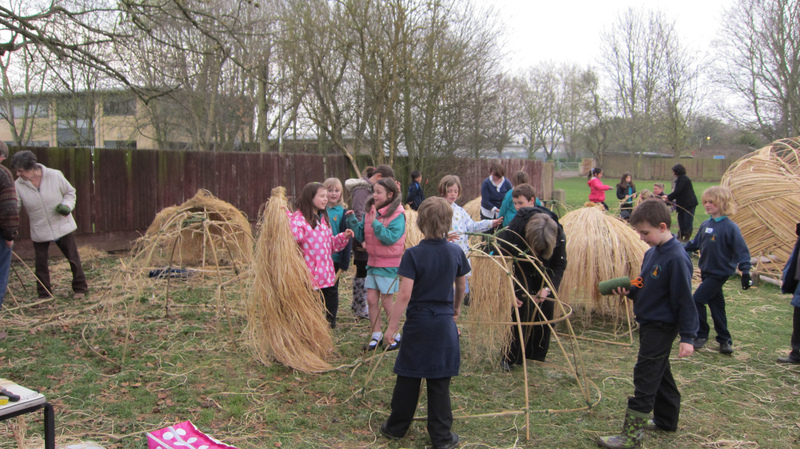 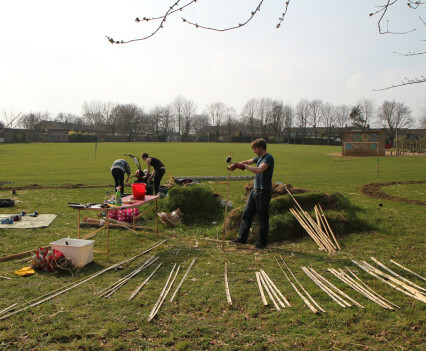 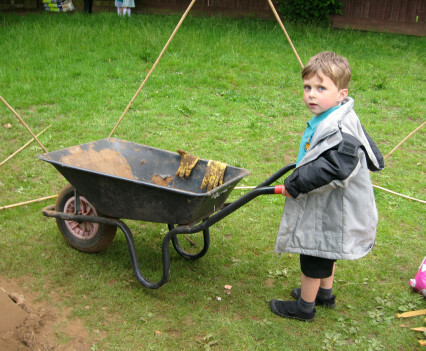 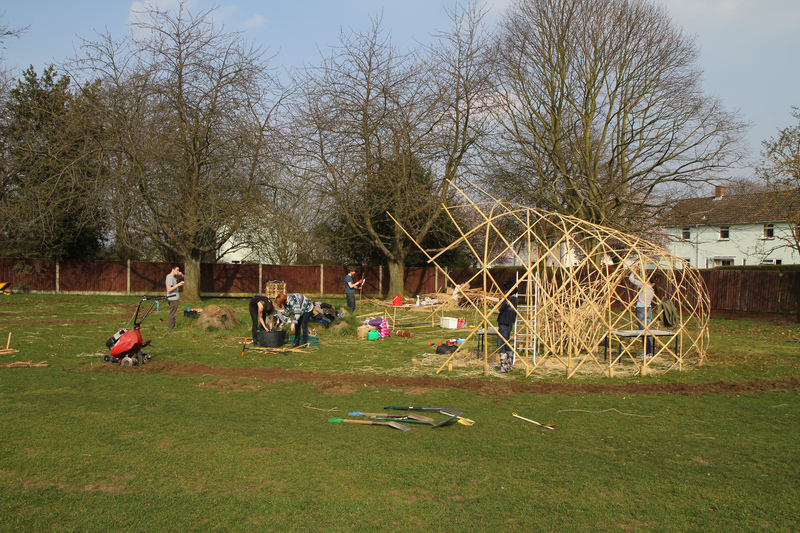 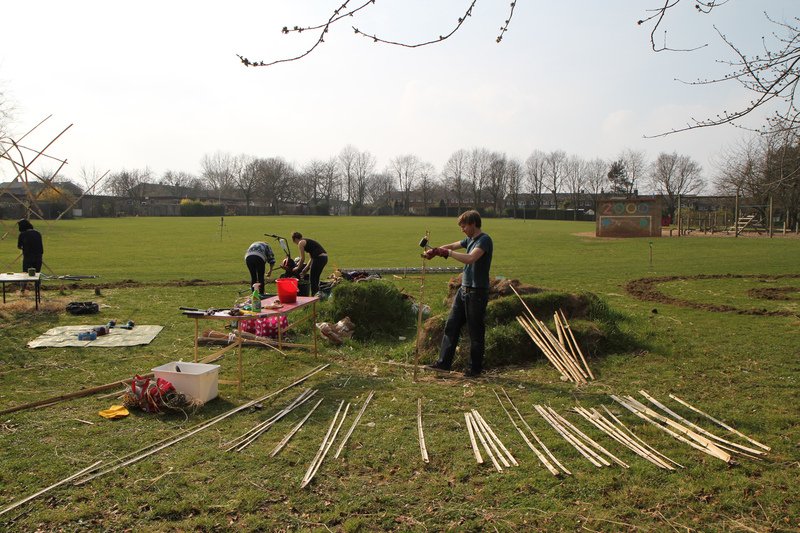 A two year outdoor learning program for Sextons Manor primary School. 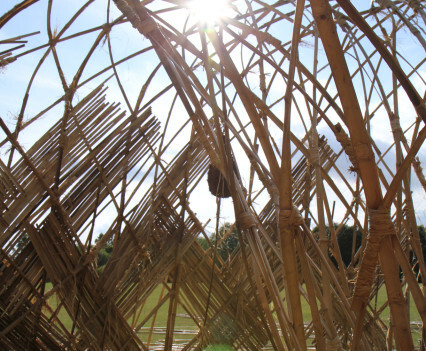 Creative Partnerships fosters innovative, long-term partnerships between schools and creative professionals, including artists, performers, architects, multimedia developers and scientists. 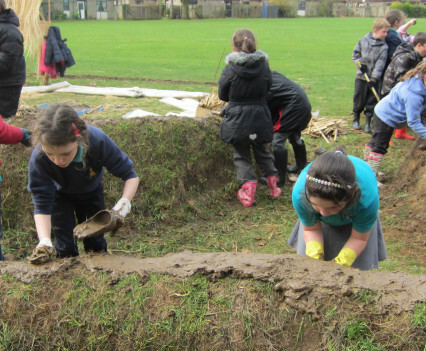 These partnerships inspire young people, teachers and creative professionals to challenge how they work and experiment with new ideas.Young people develop the skills they need to perform well not only in exams and extra-curricular activities, but also in the workplace and wider society. 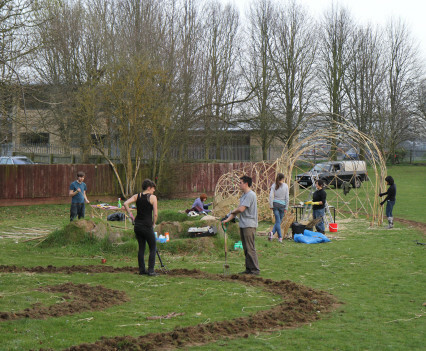 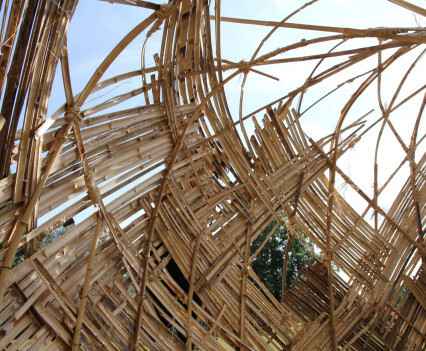 Creative Partnerships was the UK’s flagship creative learning programme running throughout England from 2002 until 30 September 2011 when funding was withdrawn by Arts Council England. 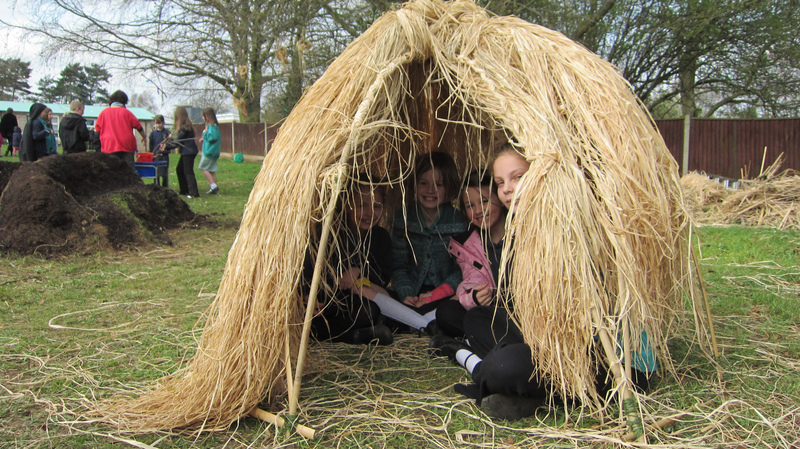 Share the post "Learning Nests"